As an artist or musician, I’m sure you have profiles across multiple social networks. You probably have a Twitter, A Facebook fan page, a SoundCloud account and a handful of others where you have advertised your music in hopes of being noticed. The first form of representation as a musician online, before someone even gets to the play button, will be your images. Be sure the images on your profiles are up to date and of good quality. If you are just starting out and unable to provide a high-quality photo of yourself, a great alternative is to add a high-quality graphic or cover photo that fits your image as a musician. No one will need to know that you haven’t had your photo shoot yet! Also, as a musician, you are now a brand. You are a business, and your product is your music. Be sure that all your profiles share a common theme and most importantly, a common name to represent you. You wouldn’t want to confuse potential fans by having your SoundCloud introduce you as one name, and your ReverbNation profile referring to you as something else entirely. Speaking of being a brand, businesses of all types benefit from having social proof. What’s the real meaning of social proof? Let’s say you’ve opened up a barbershop at your closest outlet mall. You’re new, and you need ways to entice people into walking into your store. You decided to bring a few family members along for moral support on your opening day. Another barbershop owner has also opened his business right across from yours. Unfortunately, he didn’t bring anyone to his store opening. Potential clients walk by the two shops and take a moment to decide. Which will they choose? More than likely, they will choose your shop, because more people are already in it. This is how social proof works. The same can be applied to the thousands upon thousands of emerging artists on the internet. Everyone is new and unsigned! What music will the people browsing through indie artists choose to take a chance on? The ones that stand out and already have a crowd. Social proofing online has become a bit taboo, but don’t you wonder why you hear about thousands of companies and celebrities taking advantages of services that boost their numbers? It’s because social proofing works when done right. You wouldn’t want to buy from a company that only has 7 followers on Twitter, would you? 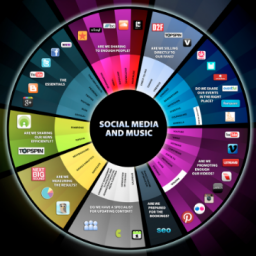 When it comes to social media for musicians, you need to consistently put out new material and updates. Visiting an artist’s page and seeing that they haven’t had any new material in years is a major letdown. A lot of times, musicians have new material, but neglect to add it to their social media pages. Even if you are simply uploading a 30-second cover or freestyle, you need to be giving your fans something new multiple times a year. Interviews, upcoming performance dates, lyric videos, periscope live check-ins, and recent reviews are great ways to add new content to your pages without even needing to upload new material. Also, as an unsigned artist, it’s critical to engage with your listeners and fans. You aren’t as big as Beyonce yet! You should personally send a thank you message to anyone who comments or shares your music online. The more personal and genuine your response is, the better! Indie artists who engage with their listeners and fans have a stronger presence, stronger support system, and overall stronger brand. After viewing your image and name, the person visiting your profile will most likely glance at your ‘About me’ or ‘Bio’ section. What could you say in a couple of sentences that will make the most out of your About Me section? Well, the first thing you don’t want to do is leave that section empty or with one or two words. The first thing you will need to is clearly state who you are and what you do. In the music world, it’s also a good idea to emphasize your genre so that you can stand out to those who regularly listen to your genre the most. Be clear about what the visitor should expect when hitting play on your music or videos. Secondly, again: there are thousands upon thousands of music makers on the internet, looking for the spotlight. After you have clearly and briefly stated what you do, think of a brief and enticing way to state what your music can do for the listener. Which bio stands out more: “Guitarist for the rock band HeroKillers.” or: “Guitarist for the rock band HeroKillers. Riffs will rock your socks.” A lot more people in the music industry need to be thinking like a salesperson! 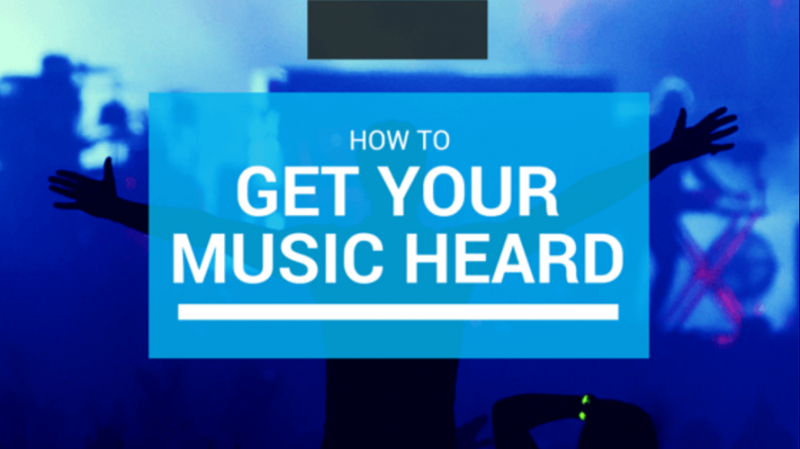 Don’t hesitate to tell a potential fan how your music will make them feel. People are tired of hearing about what your latest song is, how you can help them get more listeners, and how they should buy your music. The real thing any consumer wants to know is, ‘How will you impress me? !” The key to dominating social media for musicians is to show what your music can do for the world!